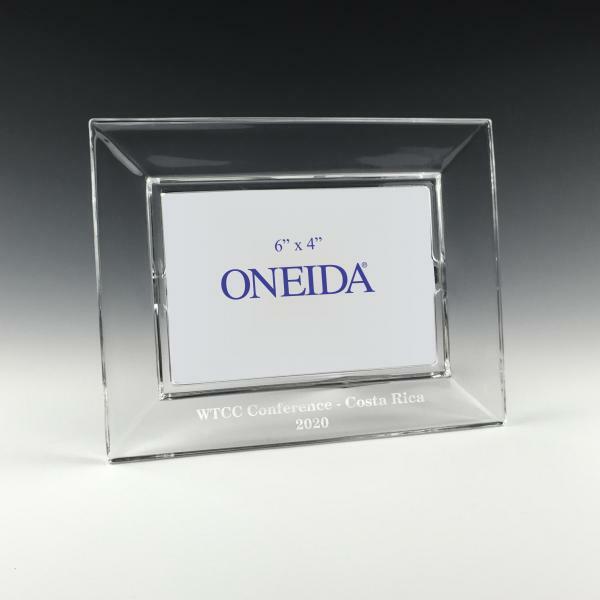 Price includes deep etching on one location. Crafted in Italy from full 24 percent lead crystal. Horizontal or vertical orientation; soft gray velveteen backing. Features satisfying weight and thick polished edge. 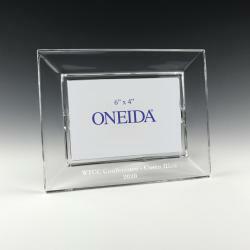 Oneida Quadro 4 x 6 Crystal Picture Frame.